If you, like me, have hundreds of photos sat on your computer, taking up huge amounts of space on your hard drive, then why not let Living Images Design transform them into stunning bespoke, hand bound and digitally printed photo albums. A perfect gift idea and a unique way of capturing those treasured memories from a family celebration, special holiday, or landmark birthday. They edit and curate your photos, enhancing them and producing fantastic layouts. These are then emailed to you for approval before going to print. Each commission comes with a guarantee of complete confidentiality. 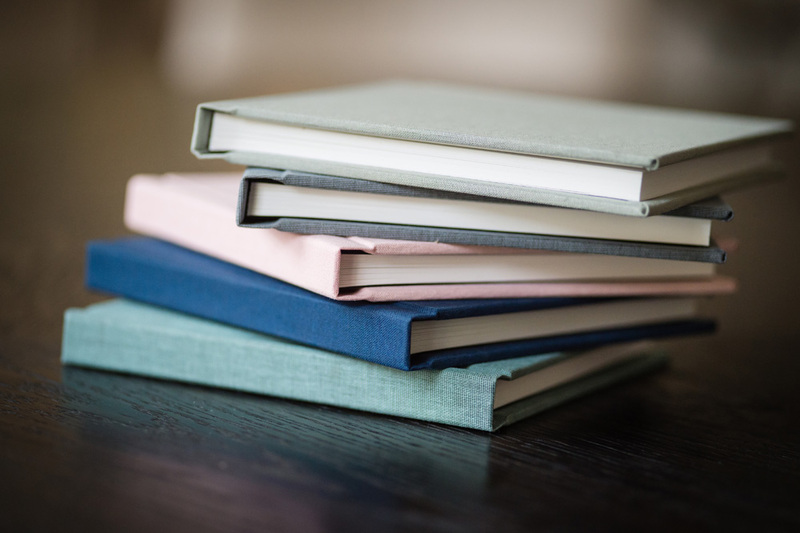 Four sizes are available, and you can choose from either linen or leather covers in a selection of gorgeous colours. Images are digitally printed directly onto each double page spread. or contact Claire to arrange a meeting to view their samples and discuss your ideas. Wedding season is upon us and it’s time to find the right outfits! Dreading having to splash the cash on something you might only wear once? Well, we have found the perfect solution! We came across this wonderful ‘fashion library’ that grants you unrestricted access to the next generation of designers which you can rent for all your show-stopping occasions. 2. Let them know when you need it. They’ll personally deliver it and be on hand for any advice. 3. 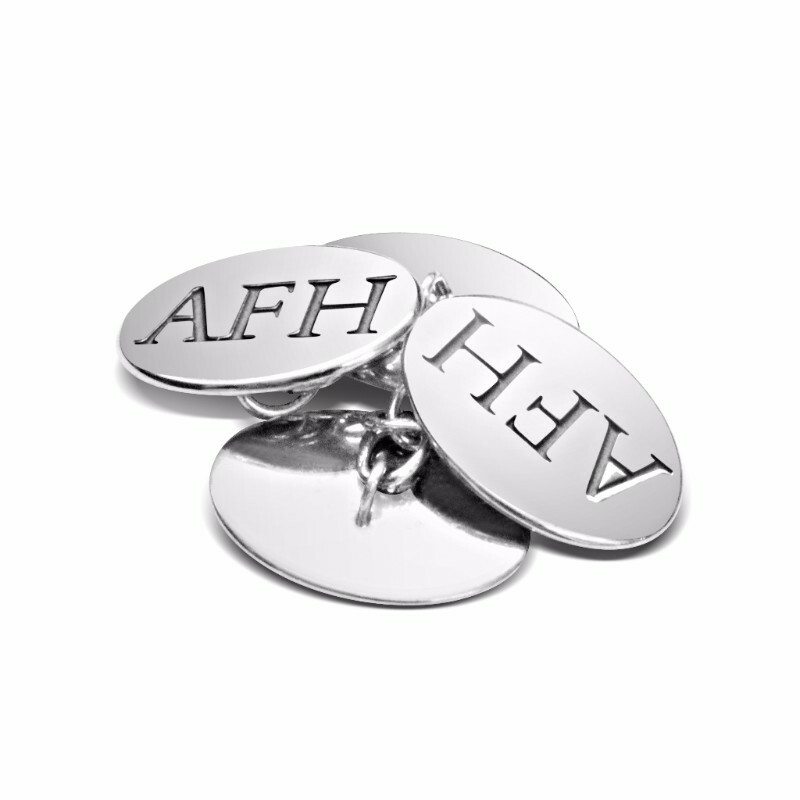 Wear it, own it, and share it. If you fall in love you can choose to buy it, if not they’ll come and collect it after your event! In our busy world full of technology, lots of parents are seeking entertaining toys which don’t end with their child gripped tight to a tablet or phone. Although technology has its place, it doesn’t have to be a replacement for good old fashioned play. 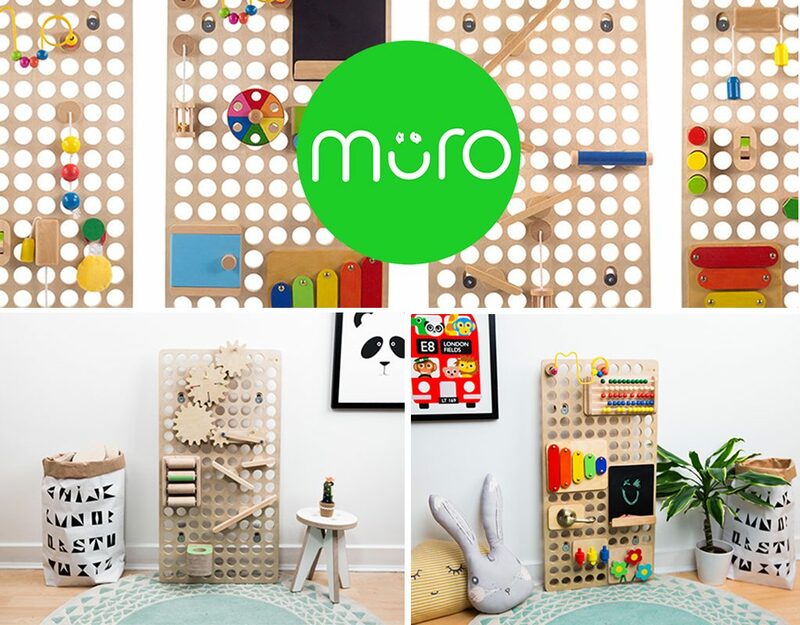 MURO, a traditional toy company, have created a tactile wooden toy which gives children, of all ages, hours of fun and can be modified to suit a child’s interests and growing needs. The company currently have a Kickstarter campaign in the hope of funding their first production of toys, due to be completed by the summer. The MURO plug and play toy is made from Scandinavian birch plywood and consists of a wall-mounted frame with a circular grid on its fascia (the product also comes in a portable cube design.) The fascia allows plug in game accessories to be added, allowing children hours of fun playing with add-ons from mini xylophones to complex beaded patterns. Flowers are always appreciated, but we all know that the secret to making our mothers really happy is in the thought and love you put into choosing a gift that’s just for her. So for this Mother’s Day (Sunday 16th March!) how about a pretty box of delicious chocolatey brownies in her favourite flavours to enjoy instead? The Sweet Reason Company, founded by Suzie Godfrey, are delighted to present their brand new Mother’s Day afternoon tea gift boxes. 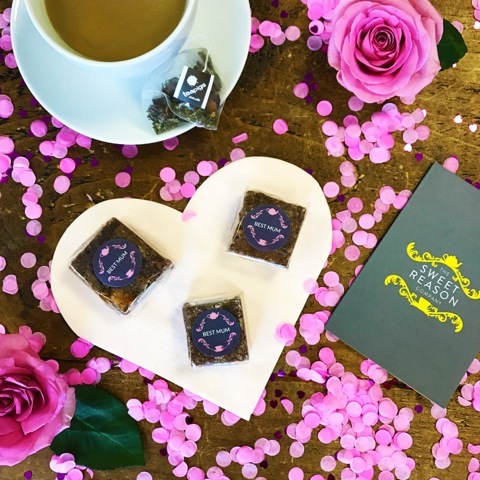 With the brownie and tea company’s luxury gift boxes ranging from £6.75 to £59.00, there is something there to suit all budgets. These gorgeous gift boxes are available now and delivered full of delicious handmade brownie bites with wonderful flavours such as honeycomb, salted caramel and Baileys! With Teapigs teas and pretty crystallised sugar sticks to compliment the bakes, your mother will love them! This Mother’s Day, leave the petrol station flowers and supermarket chocolates to your siblings, and show her just how much she means to you by giving her something truly scrummy! As sad as it is to admit, DVD’s, books and CD’s are becoming a thing of the past. In this digital world and with Netflix and iTunes readily available on everyone’s tablets and computers, no one needs any of these things clogging up their space. So we are delighted to have found this ever so easy app called Zapper. Zapper offers the perfect solution to making money on unwanted clutter without spending endless hours uploading them onto Ebay or lugging them to the dump. 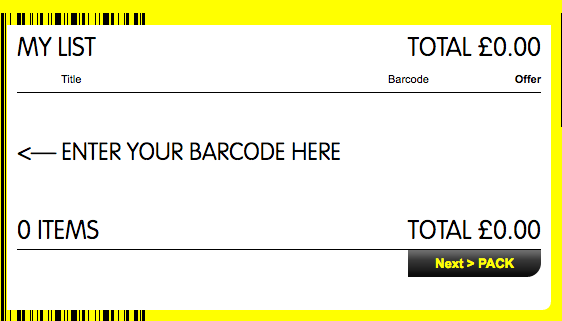 They have an extremely simple valuation system; you can get a quick price for your books, CDs, and DVDs through a barcode zapper app on your phone. You then proceed to sending it in the post, without any postage fees, and a few days later you will be sent a cheque. We love anything that’s simple, efficient and geeky so this one ticks the box perfectly. Sign up here and download the app. Happy Zapping! 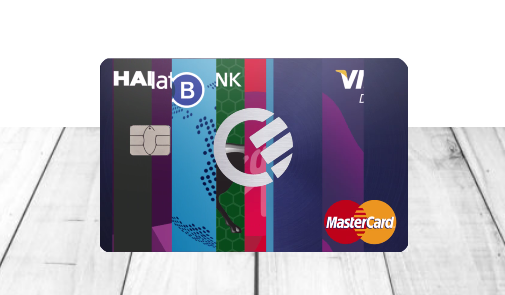 Curve is a radical new payment card that links all your cards into one, you then simply select which card you want to use for your next transaction on the Curve app. You can then use your Curve card in shops or in cash machines and even abroad. The transaction shows in the app and is recharged to your underlying card as a purchase. Your Curve Card ‘wallet’ in the app contains – as well as your stored Visa and MasterCard products – a card called Rewards. Curve Rewards offers you instantaneous cashback when you use your Curve card at one of the 50 participating retailers. No waiting around for ‘pending’ or ‘validating’ – the cashback will be available to spend as soon as you leave the store. There are many benefits to the curve card, collecting points and no overseas charges, but we love it for the practicality. No more hour long phone calls to the bank trying to cancel your lost card. Having all your cards in one will give you a lighter wallet and less to worry about when out and about. Searching for the perfect, fun and thoughtful present for your best friend, sister or colleague? Well, look no further! You only need to click on the website to fall in love with these quirky, colourful garments. The Joy Journal offers 100% cotton dyed dungarees with personalisation on the top right pocket, making it the ideal go to gift, because who doesn’t love personalisation?! 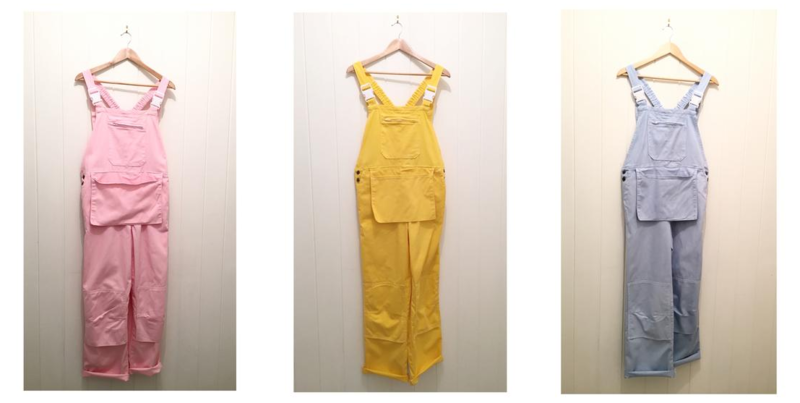 The dungarees are lovingly made and gift-wrapped. They are about creativity, colour, individuality and fun. And we absolutely love them! Doris & Dicky are all about bringing you the world’s best budget boutique hotels for around £100 per night. They help savvy-travellers cut through the overwhelming amount of choice they face when trying to find the best, small, charmingly authentic places to stay. By boutique, they mean independent hotels with distinct charm. No more soulless chains that leave you longing for your own bed. And by budget, they mean that they have an average hotel price of around £100 per night – in some places it may be more, but in most it’s less. In a world of so much choice, Doris & Dicky bring you a carefully curated collection of their favourite, handpicked hotels. So, whether you fancy a stylish beachside shack in Mexico, a B&B built into an ancient Turkish cave or just simply the best value Parisian bed, Doris & Dicky has got you covered. 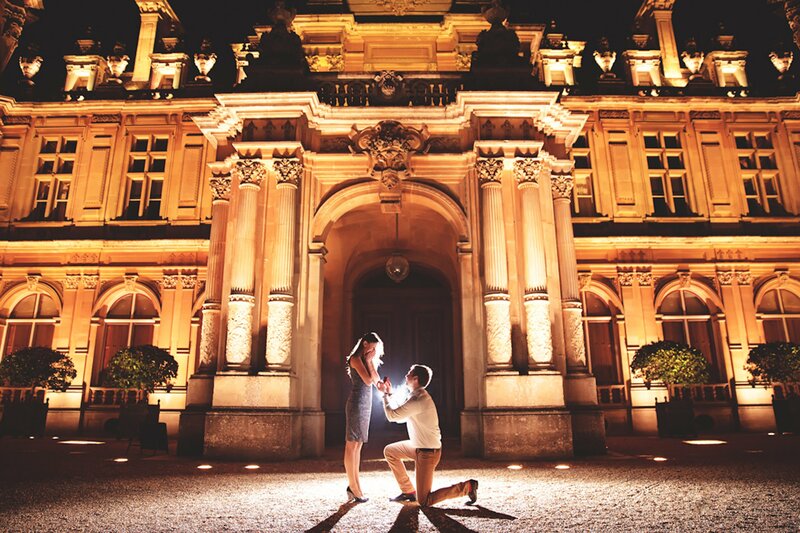 With February being the month of luuurve, we had to introduce you to The Proposers, the UK and Europe’s leading Romance and Marriage Proposal Planners. Over the past 5 years, Daisy and her team have created over 1,000 marriage proposals, each as unique and creative as the last. Whether you need help coming up with the initial idea, the logistics on the day, or the full planning package, this super-star team are on hand to help you every step of your engagement journey. From hiring the actual speedboat used in James Bond and abseiling into a cave to set up a romantic meal, to dressing cats as waiters (yes, this actually happened), exclusively hiring castles abroad and even getting celebrities involved… The Proposers love a challenge and nothing is off limits. The Proposers find out all about you and your partner so that they can create a completely personalised idea that has never been done before. With a 100% success rate… what are you waiting for…?! Your fashion revolution starts right here! Couture Community is the UK’s leading luxury pre-loved fashion destination. Buy and sell the world’s most coveted brands including Chanel, Gucci, Dior and many more. Unique, fully curated and updated daily, the collection is brimming with desirable items. The range includes rare and exciting one-off pieces that you simply won’t find anywhere else! And why not let someone else fall in love with the pieces you have fallen out of love with? Clear your wardrobe of all those past purchases that you haven’t worn in ages. Selling with Couture Community is really simple and secure. Even better, if you are too busy living the high-life, and just want someone to do the selling for you, just try the VIP service. They will handle the whole process for you, start to finish. Heaven! The real beauty of Couture Community is that you can be absolutely assured that the range is fully curated and authenticated. Each piece is individually assessed by the experienced team to provide a safe, simple and secure service for your authentic pre-loved items. 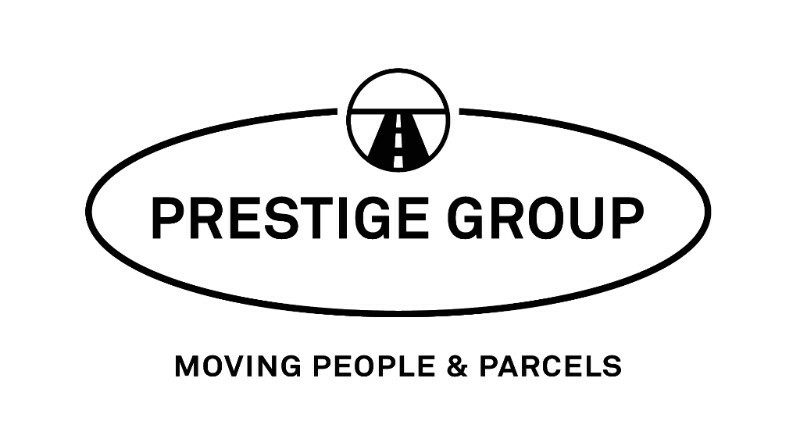 So, whether you are buying or selling, you can be assured of a high quality product and service. 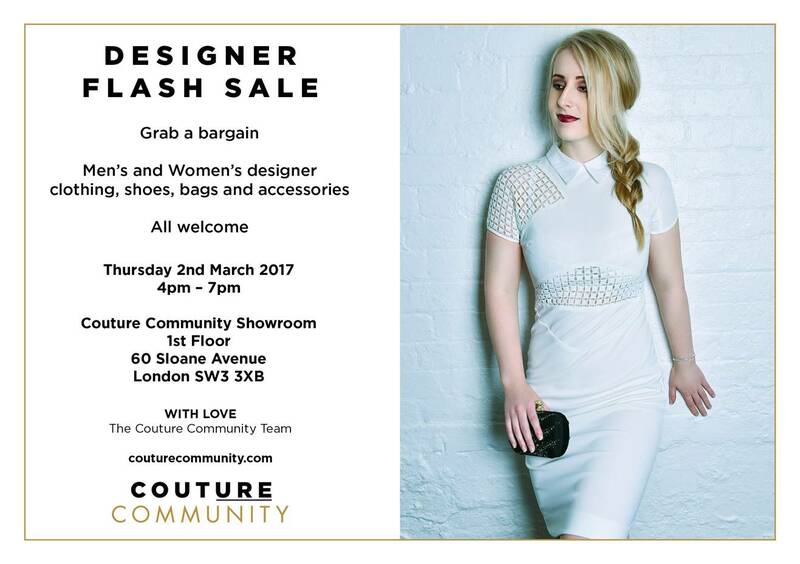 Pssst….See below an exclusive invite to their Designer Flash Sale on Thursday 2nd March!!! 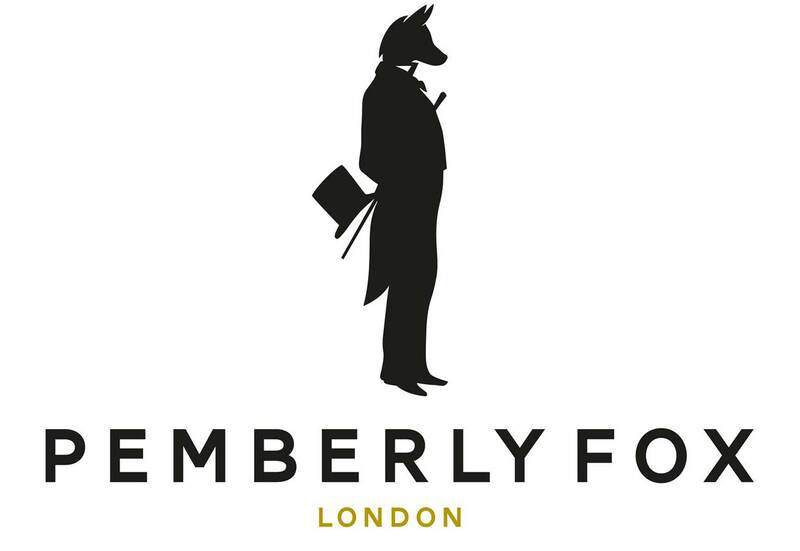 We would like to introduce you to Pemberly Fox, a young stationery brand which was founded by a couple of industry stalwarts and morphed out of the London operation which they set up in 2011 with the Bavarian stationery brand Prantl. Situated in Chelsea, near Imperial Wharf station and Chelsea Design Centre, the team at Pemberly Fox has years of experience behind them and are able to cater for the majority of your stationery needs. As well as some lovely greeting cards, and ready-to-write designs, Pemberly Fox also produce quality business stationery, personal writing paper, and correspondence cards, all manner of party invitations and some great wedding stationery and birth announcements too! There really isn’t much they can’t do, so if you know someone who is getting married or if you need a few invitations for a drinks party, Michael and Anthony would be delighted to help, and, to encourage you to give them a try they are offering YNAPA subscribers a discount of 15% off your first order! Why not give them a call or pop in to discuss your requirements with Michael. 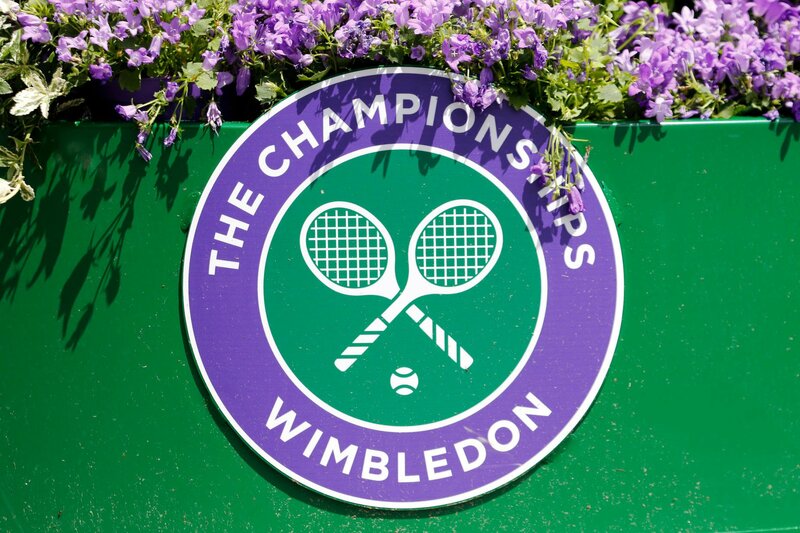 We have 2x debenture tickets for every Wimbledon match this year, excluding 5th July and the Men’s finals. Please get in touch with Milla for prices and more information if you’re interested. 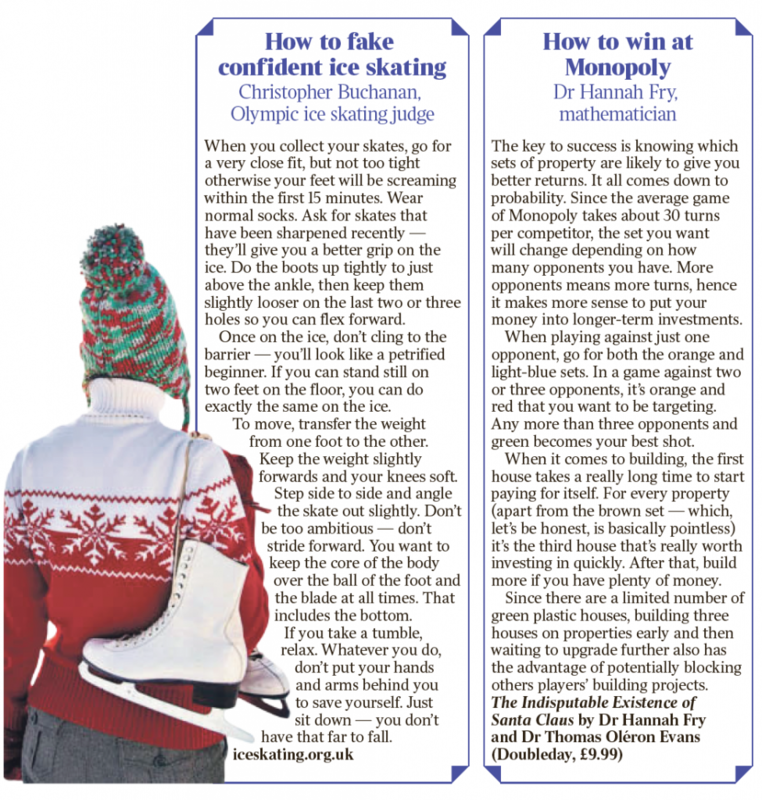 I was recently sent this information from a friend who, like a lot of us I’m sure, has been in a self improvement/social responsibility/abject terror mode over the past few months as a result of Brexit/Trump/impending Armageddon, and wanted to share some eco-wisdom that I hope you all find useful – I certainly did! 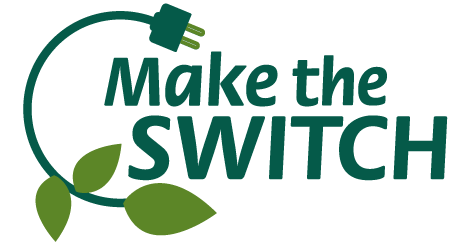 I’ve had a look online for comparisons, and for a client of ours who is living in Kensington & Chelsea and uses nPower at 19.17p per kWh, switching to Octopus Energy it would be 15.05p per kWh – so not only is it far better for the environment it is also much cheaper too. You also have the bonus of feeling smug about saving the world! It’s these small changes that make the big changes. There’s a new lady in town. For years she’s been helping haphazard marriage proposers get it right; providing trusted and independent advice on engagement rings and sourcing jewellers with diamonds only ethically bright. To elicit a secret briefing covert enough in operation, it became important to meet clients on the steps of St. Pauls within a hidden location! Together, they see designers others struggle to meet, get dusty in antique markets or wear a disguise down Old Bond Street. What started simply as a passion, began to save a lot of people’s hard-earned cash. The men and couples she advises are so relieved they could’ve kissed her! So if you’re thinking of getting down on one knee in 2017, then get in touch! You will have a free telephone or email consultation and she will be sure to save you money, while all the time celebrating British craftsmanship and encouraging the ethical purchase of diamonds and gemstone jewellery. The only thing that gave us the energy to fight through the January blues were these scrummy snack bars from Squirrel Sisters! We are addicted! 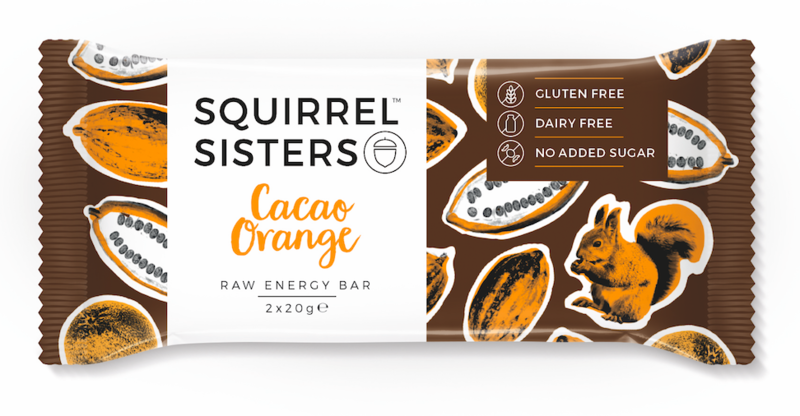 This health and wellness brand, which started as a blog by sisters Sophie & Gracie Tyrrell, has already won recognition for their Raw Snack Bar range (launched Nov 15) by leading health and beauty retailer Boots UK. Their mission is to bridge the gab between healthy – but often tasteless – snacks and tasty – but not so healthy – treats. The Raw Snack Bars are made with 100% natural ingredients – they are gluten-free, dairy-free, grain-free and completely sugar free. As well as suitable for those who follow vegan, low GI or paleo lifestlyes. The four flavours available are; Cacao Brownie, Cacao Orange, Raspberry Ripple and Coconut Cashew, and each bars are under 91 calories. Get your hands on these delicious bars which are stocked in over 100 stores, including Boots, Whole Foods, Planet Organic, Revital, Holland & Barrett (online) and lots of other lovely independent stores and cafe’s. Your online reputation is your image on the Internet and it is hugely important that it represents you in the best possible way. Accurate Reputation will restore your name or your companies good standing, by eliminating any negative material found about you on the Internet. Accurate Reputation will diligently remove unflattering news, pictures, negative reviews, blog posts and comments about individuals, businesses, brands or services. Do you struggle to stay on top of your pet’s flea and worm treatments? 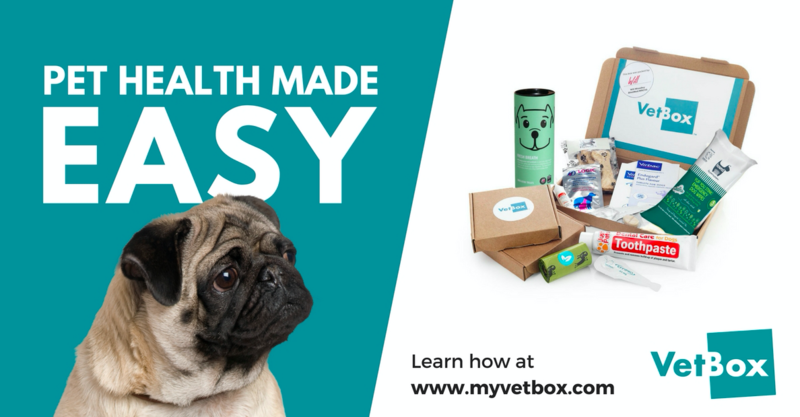 VetBox is here to make pet health easy! Pets need to be treated regularly against parasites such as fleas and worms, but this can often be both expensive and confusing. With a VetBox subscription, your dog or cat will receive the correct treatments exactly when they need them, all for less than you pay at the vets. VetBox was founded by veterinary surgeon Dr Will Woodley. Will guarantees that the contents of every box are chosen by a qualified vet. 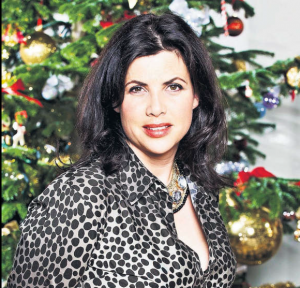 Would you hire a PA to the stars to ease your festive stress? THE very best part of the four hours I spent this week with glossy, shiny, silky, super-posh elite PA Polly Hadden- Paton was the moment I handed over a pair of ruined red velvet Alexander McQueen sample shoes. They’d been lying in shame in a plastic bag under my desk for more than a year — ever since they’d been chewed by a dog at my husband’s over the top Seventies Brazilian- themed birthday party. They aren’t even mine. They belong to my favourite neighbour who’d taken them off to perfect some particularly ambitious dance moves. But it was our party and our friend’s dog (who brings a Jack Russell to a fancy dress party? ), so I felt responsible and promised to get them fixed. And then didn’t. That was 15 months ago. Another birthday has passed. Still the shoes languish. Every so often, I catch sight of them and feel sad and bad. And when I see my neighbour, they hang between us; a small invisible cloud of awkwardness. But then I handed them over to Polly the PA — and all that disappeared. ‘Stop! Oh my gosh!’ she gasps as she marvels at the savage teeth marks. And then regains her composure. ‘Sure, sure, sure. Not a problem! Not a problem!’ she chirps, and urgently taps at her shiny laptop. she does love to type an old-fashioned letter (‘If only I had time’). No, she’s one of a new brand of super- PAs who can solve any problem with a couple of taps of their beautifully manicured fingers. Her clients include Premier League footballers, rugby players, hedge fund managers, actors, pop stars,sheiks . . . and, now, busy working mums like me — and you. 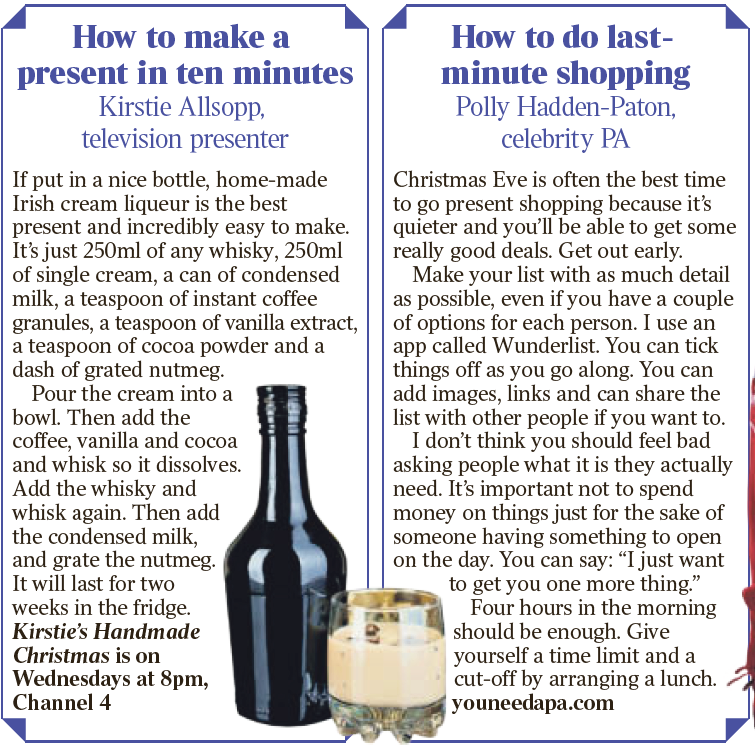 Because Polly now runs her own business, youneedapa.com, with fellow PA Vicky Silverthorn. They met when they were both working for Lily Allen, (as you do), and charge £40 an hour to harassed mothers like me who wouldn’t dream of having, let alone be able to afford, our own PA, but have dispiriting ‘to do’ lists that never seem to get any shorter. It was when they parted company with Lily (‘We’ve not seen her for ages,’ Polly says discretely) that they realised there was a whole world of potential clients out there desperate to access their unrivalled contacts and ruthlessly organised brains. A few days before we meet, we spoke on the phone and she asked me to send her a list (‘Not a “to do” list — an action list,’ she says. ‘It’s more “C’mon, yeah!” ’), told me nothing was too small, silly or shameful and that ‘everyone has different needs’. At the end, she promised that, together, we would ‘conquer it all’ and I would feel ‘physically lighter, more mindful and relaxed’. Wow! So I got started. Onto my list went our lapsed house insurance, a shepherd’s outfit for my son’s Nativity show (a week late for rehearsals), the mountain of mending and drycleaning that’s been stuffed in the bottom of my wardrobe for months, three broken handbags, advice on the best place for laser hair removal and scraggy neck smoothing (without surgical intervention), turning up a pair of ‘new’ jeans bought in June and our monumental moth problem. So I did. ‘Help choose new glasses. Sort out cat insurance. Worm tablets. Flea collar. Source a sold-out Hatchimal [this year’s cult kids’ Christmas present], book holiday flights to Menorca. It was as if a blockage had been removed. I couldn’t stop. Each time her response was so upbeat — ‘Not a problem! Of course!’ — that I became ever more ambitious. ‘Table for four at the Chiltern Firehouse. Tickets to see Strictly Come Dancing. A Glastonbury ticket for someone who’d missed the deadline to register.’ ‘No problem!’ she chirped back, and enquired about parking. Naturally, I’d run out of council parking permits — so onto the list they went. When we finally meet and she hops onto a broken stool at my scuffed kitchen counter I feel both daunted by her posh swishy glossiness and embarrassed I’d displayed my horribly disorganised underbelly to a stranger. But she and Vicky have seen it all. Houses overflowing with rubbish, post unopened for three years, unpaid bills, stains of all sorts on clothes, carpets, sofas, curtains. Men who can’t order their own takeaway lunches. People incapable of Christmas shopping. They’ve booked bikini waxes, back, sack and crack waxes and endless appointments at STD clinics — usually under their own names to protect bashful clients. On paper, Polly must be the most thoroughly tested lady in London. ‘I’m just happy that everyone’s being safe,’ she says. ‘Everyone has their own needs.’ For me, she limbers up on a few unpaid bills, the house insurance, a moth prevention kit and some vitamins recommended for me by a doctor to make me sleep better, be less tired and more efficient. They’ve been on my ‘to do’ list for months. Along with new glasses — one of my two pairs has only one arm and the other is so scratched I can barely see. I’ve been wearing my contact lenses for so long each day that I’m damaging my eyes. But Polly’s here, so tick, tick, tick — off the list they go. Along with the shepherd’s costume, the Hatchimal and pretty much everything else. She ’s a machine. But so she should be. Most of this stuff she could do standing on her glossy head with her beautifully manicured hands tied. Because she and Vicky are members of the PA SAS — an exclusive, self-selecting club of about 100 elite PAs. The top secret club’s been likened to Jeeves and Wooster’s ‘club for gentlemen’s personal gentlemen’ and The Society of the Golden Keys — the real life network of top hotel concierges. In comes a problem; one email pinged out to club members usually solves it. A taxi for a client filming in Outer Mongolia? Done. The latest sold-out handbag? Not a problem. 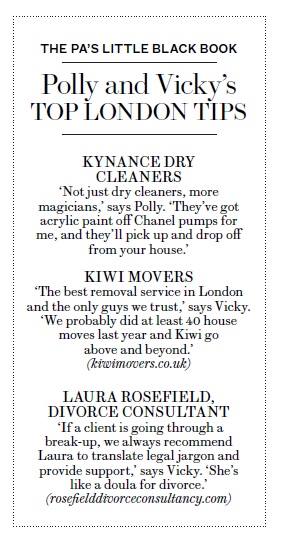 They help each other out, swap contacts, swoop to the rescue with a private jet or tickets to Adele or the mobile number for the best stain remover in London (Kareem, the sweet-smelling saviour from Kynance Dry Cleaners in Kensington, if you’re interested). 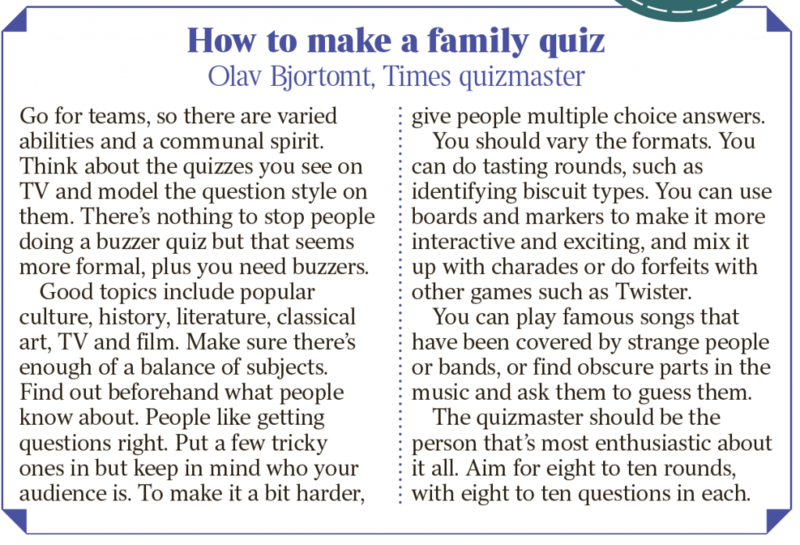 Naturally, Polly can’t give the name of the club because ‘everyone would want to join’, and becomes pink and flustery when I pry. But she will confirm that members are both male and female and have to be both nominated and seconded. It’s astonishing how log-jammed our lives have become. How, week after week, month after month, some of us — I know I’m not alone — write the same lists, then berate ourselves for failing to action them We’re busy, we’re juggling, we feel like we’re going round in circles, and an un-actioned action list just adds to the stress. Which is presumably why, along with our cleaning, ironing, gardening and DIY, more and more normal people like me are outsourcing their admin to people such as Polly. ‘It’s all about valuing your time,’ she says. ‘Sometimes there are better uses for it than sitting on the phone to British Gas for an hour.’ Polly and Vicky spotted the gap and practise what they preach. Vicky is head of de-cluttering and so fastidious she used to hide mismatched plates at her childhood home when friends came to stay. So does being busy. She’s on call 24/7 and never ever turns her phone off. When she pops to the loo in the night, she books flights, cancels unused gym memberships and tees up dog walkers. It goes without saying she has endless Christmas shopping spreadsheets, finished hers in November and has wrapped everything. 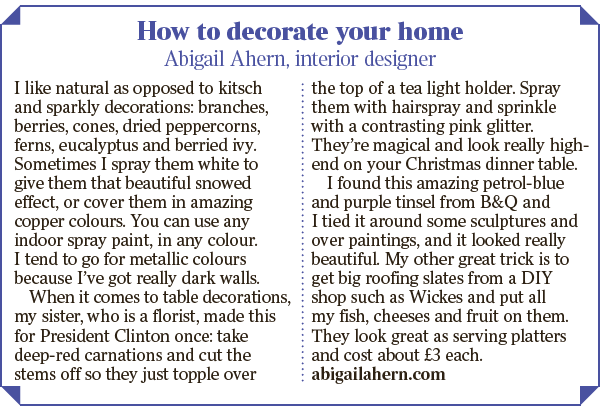 Though she sheepishly admits she’s yet to decorate the parcels with stencils and bows. Oh, the shame, Polly! There are some things they’ll baulk at — ‘anything rude or that might harm someone’ — and, rather surprisingly, thank-you letters. ‘I’d be happy to type a template, but I really think they should do it themselves,’ she explains. It’s lovely having Polly tap-taptapping through your backlog. Even nicer when every few minutes one or other of her SWAT team turns up to whisk away my broken or stained detritus — Vanessa Jacobs, the bag and shoe lady with her very white teeth and can-do attitude, and the fragrant man from Kynance, who says darkly: ‘You should see some of the things we get. We could write a book,’ and then whisks my mending and stains away with no mention of return date or cost. Ah, yes , costs. Which are ratcheting up at an alarming rate. Because within five minutes of arriving, Polly had her pretty hands on both bank cards and all my passwords and has been hard at it with them ever since, though she does assure me they’re ‘super-conscious of cost’ and ‘always try to find a cheaper alternative to the £500 handbag’. But then, some things are priceless, such as the moment she’s on her phone sorting out my expired cat insurance and says, in her wonderfully crisp, posh voice: ‘Hello, I’m calling on behalf of my boss . . .’ I am a boss! Just the sound of it made me feel efficient. Organised. In charge, for once. And, two minutes later, our fat black cat was insured for the first time in four years. Having a PA for day sounded a ridiculous luxury at the beginning of the week. Not now. In fact, I’m going to treat myself to a quick blast of Polly for Christmas, for my birthday and maybe Easter, too. And I recommend that every stressed-out woman bowed andbroken by their ‘to do’, sorry, ‘action’ list, does the same. Because Polly is the gift that keeps on giving. In the days after her visit, I receive endless emails reminding me of how great she is. There are confirmations of various insurance policies, flights, tickets and my table for four at Chiltern Firehouse; Hatchimals and shepherd’s outfits arriving by Amazon Prime and long-overdue vitamins and moth deterrents in the post. Her efficiency is contagious. I find myself buying glasses, getting my shoes resoled, returning unwanted items and (almost, but not quite) looking at my bank statement to see how much she’s spent. For now, though, I’m just waiting for those Alexander McQueen shoes to come back, so I can make it up with my neighbour. 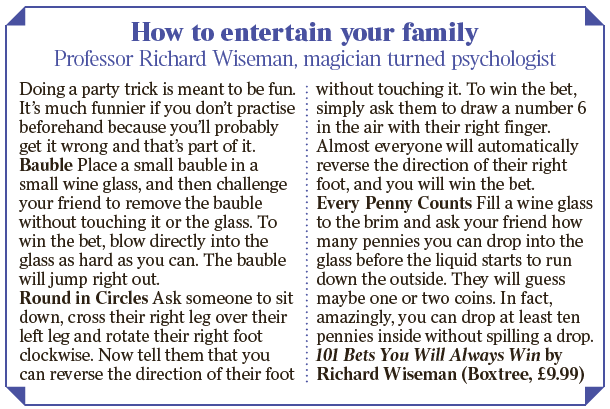 They can book you a seat on the FROW or get your kid into Eton — just don’t ask them how they do it. 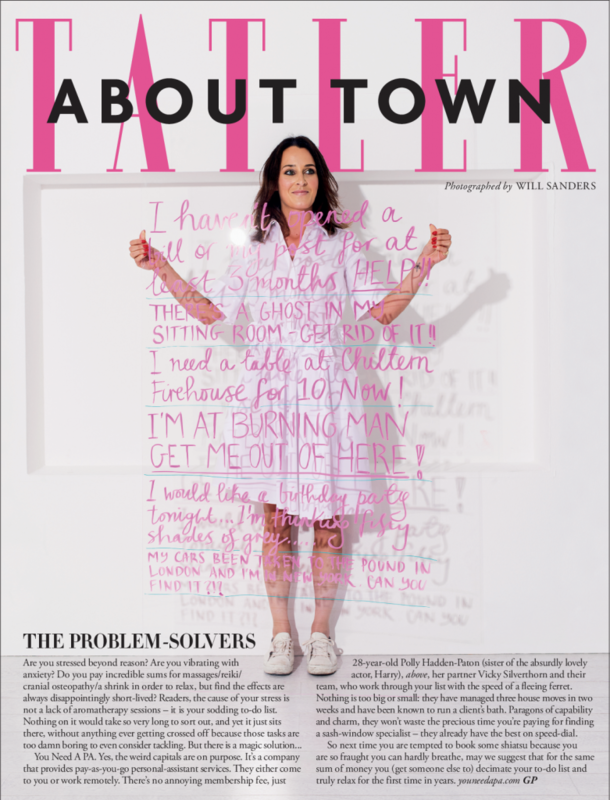 Kate Wills meets Polly Hadden-Paton and Vicky Silverthorn, the A-list’s ultimate fixers. I first heard about Polly Hadden-Paton and Vicky Silverthorn during one of the worst mornings of my life. I’d woken up with a hangover of epic proportions to discover that the Isabel Marant jumpsuit I’d borrowed from a friend to wear to a party the night before was now caked in chewing gum all over the crotch area (don’t ask). In my state of inebriation, I’d thrown said jumpsuit into my freezer — something in the recesses of my mind said this would fix everything. But the gum was now stuck hard and fast and the jumpsuit was also covered in frozen fish-finger crumbs to boot. Tears welled up. I called the only friend I phone in a crisis, who suggested I try a company called ‘You Need a PA’. At first I baulked at the idea — didn’t PAs book meeting rooms? — but my friend had met Hadden-Paton at a dinner party and assured me she would know just what to do. I fired off a panicked email to Hadden-Paton and a couple of hours later, an elegant man in a cream linen suit called Kareem, from Kynance Dry Cleaners, was at my door picking up the jumpsuit. Fast forward 24 hours, and he was returning one gum-free, good-as-new jumpsuit. It was nothing short of miraculous. ‘That was easy compared to some of the requests we get,’ laughs Hadden-Paton, 28, who is petite and polished, with perfect flicky eyeliner and a mini-dress that could be Mary Katrantzou (but, which she delightedly tells me, is from New Look). It’s fair to say this is not your average PA service. Recent jobs have included moving Nick Grimshaw’s entire house for him and chauffeuring Suki Waterhouse out of Burning Man when all the flights were booked up for three days. Oh, and then there was the case of not one— but two — American clients who felt there was a spirit possessing their living room. And before you picture them googling ‘ghost hunter’, you should know that Silverthorn and Hadden-Paton have a secret weapon at their fingertips. They are part of an elite web of hundreds of London’s top PAs, who share their best contacts on one magic email chain in order to deliver the impossible. If that sounds like a butler buddy system, akin to the ‘club for gentlemen’s personal gentlemen’ in Jeeves and Wooster or the Society of the Crossed Keys in The Grand Budapest Hotel, that’s because it is. In fact, Wes Anderson’s film is based on a real network of elite hotel concierges, The Society of the Golden Keys. 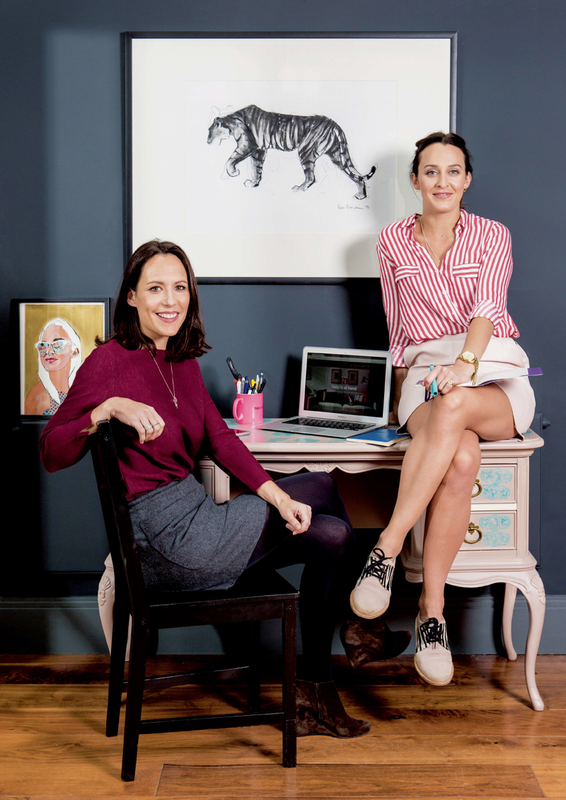 Although they had different upbringings — Hadden- Paton was a boarder at Sherborne School for Girls in Dorset and Silverthorn went to her local comp in Berkshire — the pair bonded while working as PAs for Lily Allen in the Noughties. Silverthorn fell into PA-ing by chance after working at her local golf club and then becoming a PA to pro golfers, footballers and, eventually, pop stars. Hadden-Paton did a nine-month PA course at Oxford Media & Business School. They set up ‘You Need a PA’ in 2013 after realising that the demand was out there for a flexible PA service which people could use as and when they needed it. Their clients range from doctors to bloggers to DJs, and tasks include buying forgotten birthday presents (and handwriting the cards), standing in line for the iPhone 7, securing tickets for sold-out shows and booking bikini waxes and STD tests. If the latter is for a well-known client, Hadden-Paton books appointments under her own name. ‘I’m probably on more sexual-health clinic databases than anyone in London,’ she jokes. ‘People have this image of PAs as secretaries in skirt suits typing away in an office, booking a table at The Ivy,’ says Silverthorn. ‘But we’re not like that. We’re running around London with a backpack on our back, Marigolds and trainers on, getting 10 things done an hour.’ Trainers probably came in handy when one of their girls had to sprint and then hitch-hike 15 miles down the M4 to hand-deliver a green card to a client — an A-list actor — who was waiting at Heathrow Airport and due on set in LA in eight hours. It’s an incredibly intimate business, requiring a huge amount of trust. They’ve never even met some of their clients, and yet they have keys to their home and their credit-card details on file. Non-disclosure agreements (NDAs) are regularly signed. Hadden-Paton has even been hired as a rent-a-guest for a clients’ weddings. She turns up in formal attire and mingles, but is also on hand to fix any detail the bridesmaids are too busy/ drunk to handle. While once having a personal assistant was the preserve of celebrities or chief executives, the business of subcontracting the boring parts of your life is now booming. Economists call it comparative advantage: even if you’re brilliant at paperwork or ironing, if you could be spending your time on a more valuable activity, then you should. Fifteen thousand applications are received by outsourcing service TaskRabbit each month from potential ‘Taskers’ who want to hang up your shelves or design your party invites. Apps such as Laundrapp will do your washing, UberEATS will pick up your kebab at 3am, and Bizzby will send someone for all the other odd jobs you can’t be bothered to do. Considering the changing nature of the way we work — 4.6 million Brits are now self-employed, including 17.3 per cent of Londoners — and the rise of the gig economy, it was only a matter of time before a pay-asyou- go PA service took off. And virtual butlers won’t be far behind. Amazon recently released the Echo to the UK — a voice-activated personal assistant which will book restaurant tables, put your preferred music on and control your appliances for you. What’s more, Google has come up with Google Home, a smartspeaker that allows you to control the music and lights in your home among other things. But, of course, none of these apps or gadgets can get you tickets to Harry Potter and the Cursed Child. Disasters do occasionally happen, though. ‘I remember once Lily Allen asked me to get her tickets to the Céline show in Paris,’ recalls Silverthorn. Here are a few more products and services that we enjoy and wanted to share with you – we hope you love them too! Don’t forget to get in touch if you need any support in the run up to Christmas, from decorating your home to organising last minute travel and reservations! 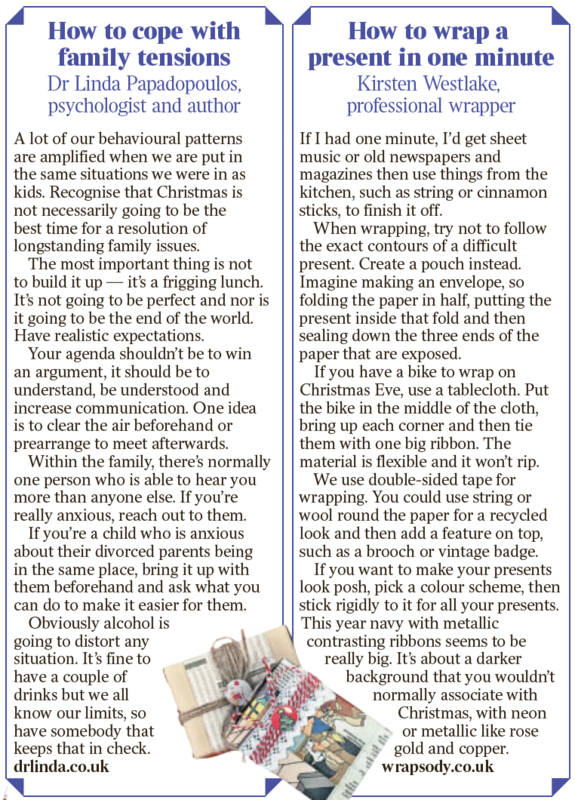 We’re here to keep you organised and make your Christmas stress free! 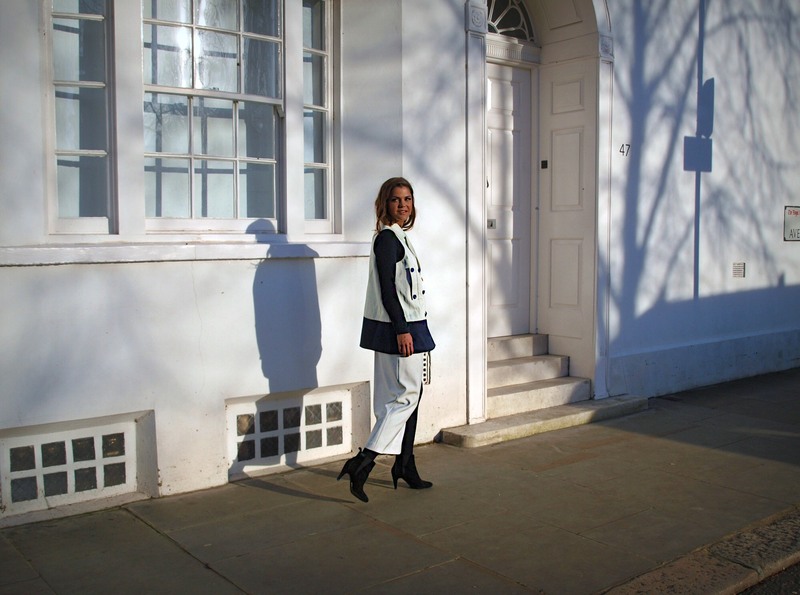 Welcome to Maimie – home of sheer luxe, stretch-silk leisurewear handmade in London. Inspired by the feminine tailoring of the Hollywood Golden Era, but given a contemporary and wearable twist. Maimie London leisurewear is created to perfectly balance comfort with glamour. 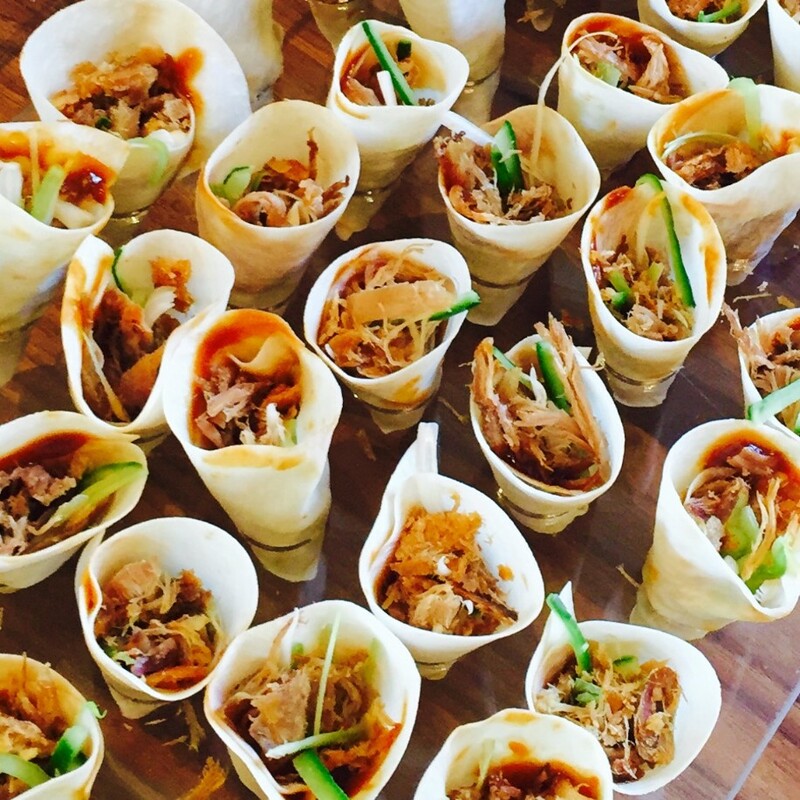 Kit Keyser set up Nourish a year ago, providing healthy, creative dishes which take the hassle out of entertaining. The menus can include gluten and dairy free dishes which don’t compromise on flavour. Once defrosted, every option can be cooked within 30 minutes with no extra work involved… Feasts at your fingertips! Great presents for new mothers, or anyone in need of some health and replenishment based on the Paleo diet. Nourish also do small private parties too! 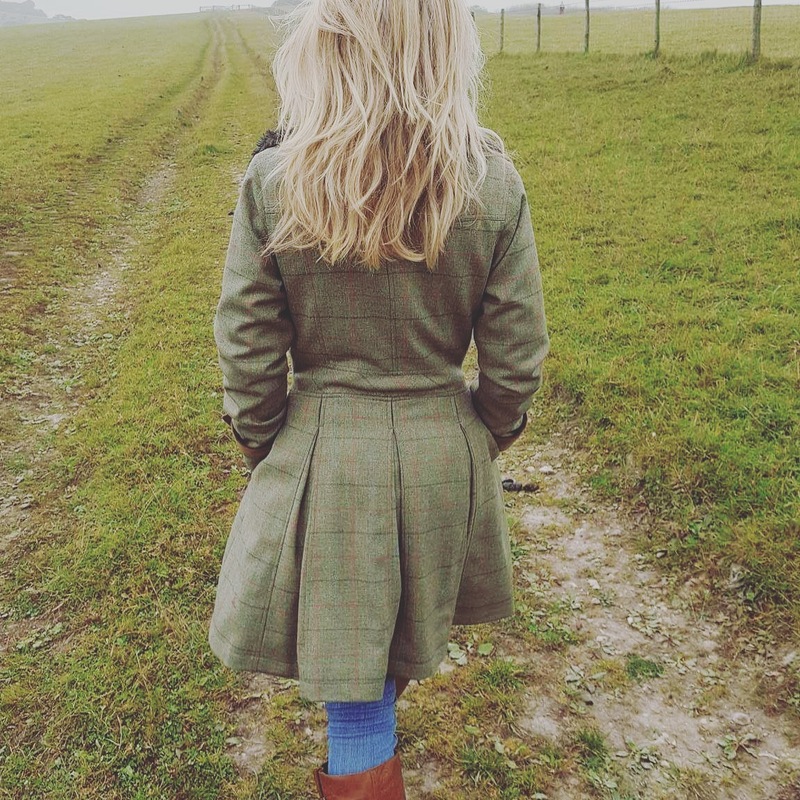 Give the gift of classic British style with a contemporary twist this Christmas or simply keep warm and stylish yourself with a jacket from new luxury country wear brand English Utopia. Fashion designer Gary Newbold aims to bring beautifully designed tweed and wax products to a wider audience, as the English countryside belongs to us all! Use code Nina15 for 15% off via brand ambassador Nina Motylinski-Davies. From 3rd – 22nd December 2016, Greenwich Peninsula will offer London a new twist on Christmas for anyone who hasn’t grown up yet! 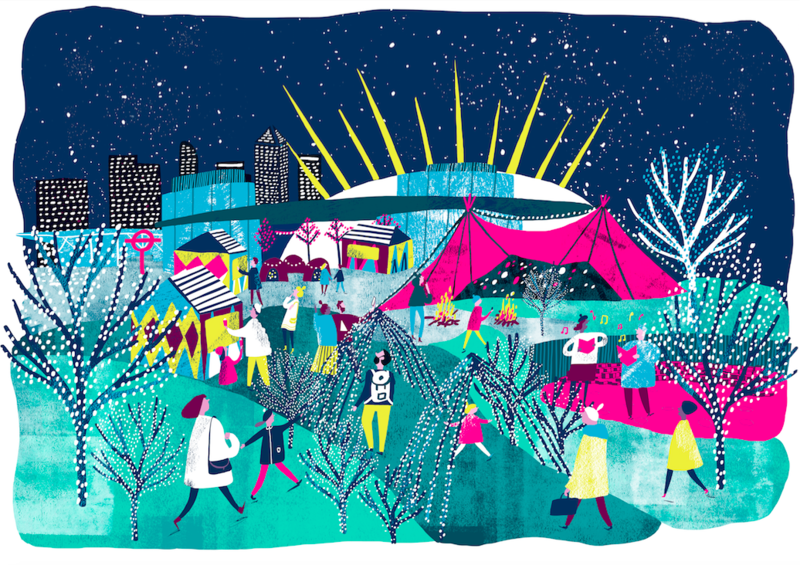 Greenwich Peninsula makes its own traditions, and this year the Peninsula has partnered with Secret Productions – the creatives behind Wilderness Festival – to create the first ever Winter Festival. Kate Braithwaite is a London based milliner making hats from everyday to Ascot. She is offering you all a special Christmas discount of 10% on her gorgeous fur felt fedoras, just email her your request! 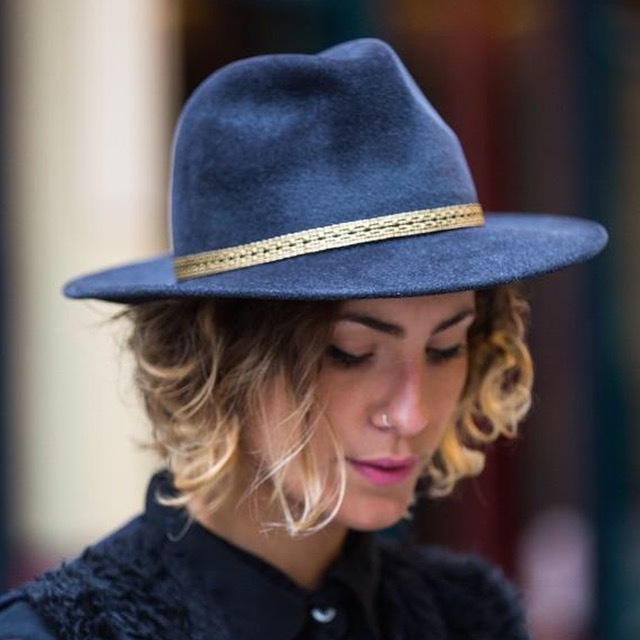 Each hat is made from the highest quality material, allowing you to wear them to all occassions, come rain or shine! 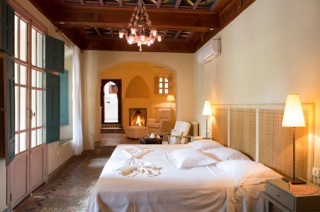 Starting to plan your winter sun holidays, or perhaps dreaming of a hot African Christmas next year? 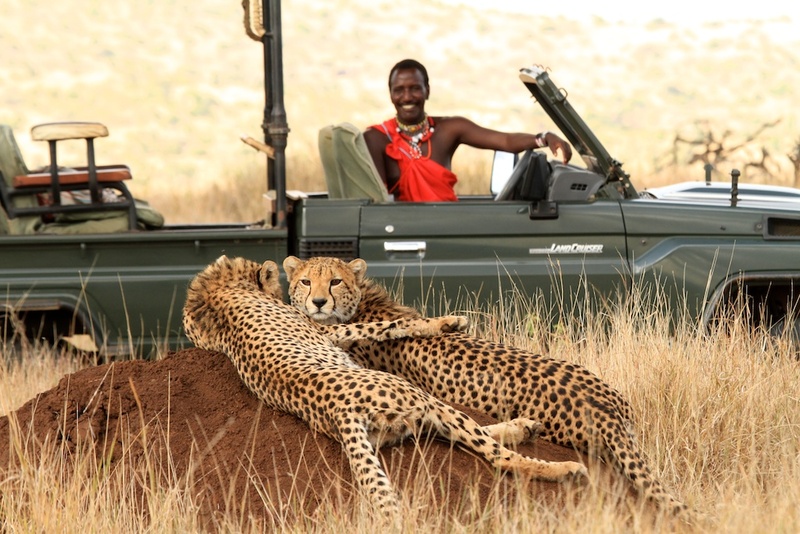 Why not head to Lewa Wilderness, one of Kenya’s original safari experiences. Overlooking the magnificent Mount Kenya, in the heart of the colourful Laikipia plateau is The Lewa Wildlife Conservancy, famous for it’s abundance of wildlife and for being the biggest conservation success story in East Africa. Endless ‘Out of Africa’ style activities await you from flying in an open cockpit biplane, to horse riding among giraffe and zebra, and taking long walks through the bush with your Massai guide. Lewa Wilderness appeals to families and the more active safari guest who appreciates breathing in the wilderness up close aswell as from a game viewing vehicle. Tea & Tequila was set up in 2015 by two friends who wanted to bring the best of Mexico to the UK, and vice versa. Sourcing from skilled craftsmen from across Mexico, they design and create Mexican-inspired, London chic accessories and jewellery. The brands ethos is on sustainability and the development of Mexican craft, giving it a contemporary edge and access to new markets. They also trade in a niche market spirit – representing Mezcal Amores in the UK and Elephant Gin in Mexico. Check out www.teaandtequilatrading.com and buy the perfect Christmas present now! Set up by Samantha Benveniste, she has just opened a shop on Kensington Church Street and is offering a ‘Made to Order’ service, whereby customers can walk in, without an appointment, pick a dress from the AW collection and then have it fitted and altered to match their requirements there and then, including changing the colour, length, adding a trim or removing some buttons – anything is possible and the dress will then be ready in under 14 days, so still in time for Christmas! 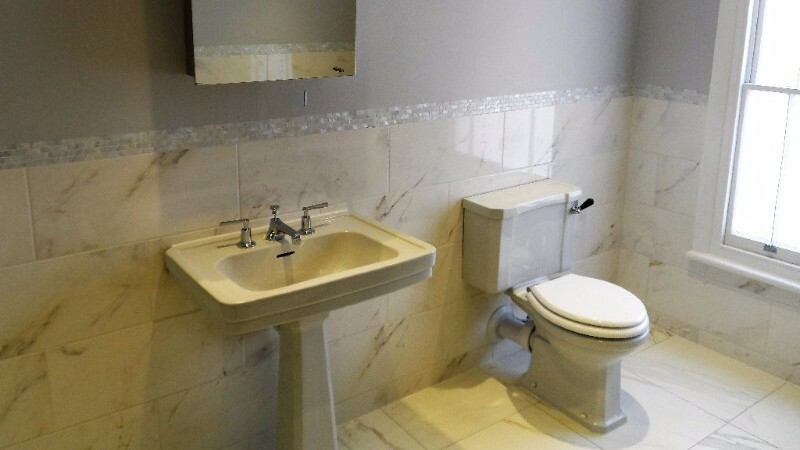 The quality and service is impeccable! 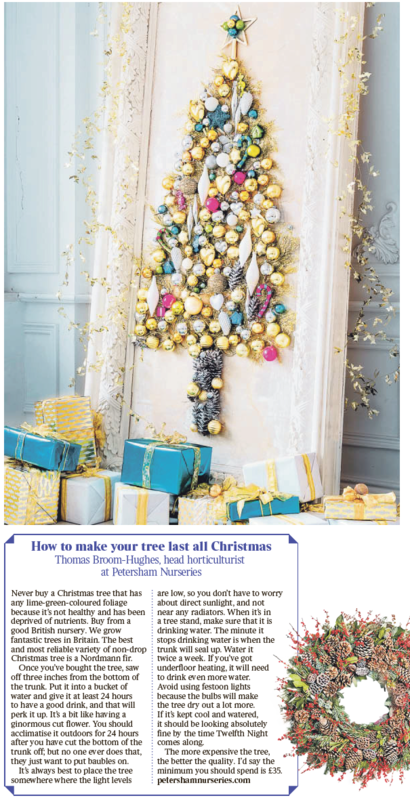 Here are a few festive tips to ensure you have a warm, problem free winter – from our plumber, Chris! (combi boiler and systems that have pressure guages) check that your boiler/system has a minimum of 1bar pressure when COLD. If it is below 1bar you can re-pressurise the system via the filling loop. This is most commonly found under the boiler or if you have a hot water cyclinder, where this is sited. Tip: fill the system slowly and don’t over fill the system (1-1.5 bar maximum). If you are unsure on what to do or do not feel confident, please contact me or a trade professional for assistance. In winter, this pipe can become frozen in cold weather. This happens due to incorrect sized pipe being used (too small diameter) or the pipe has not been insulated. Click here to find out what to do if this happens. This should only be carried out if this is the problem and by a competent person! Most modern boilers/systems have programmes which periodically run system checks and help to minimise heating pipes from freezing in cold weather conditions, even if the hotwater/heating is not in use. So leave the mains power to your boiler/system on especially if you are away for the festive period. With Christmas fast approaching, we wanted to put together for you some of the products and services that we love and will be using in the run up to the festive season! Hopefully there’s something in here for everyone and we’ve also included some lovely discounts! If you need any help preparing yourself for the busy few weeks ahead, please don’t hesitate to get in touch. Whether you need help planning the perfect party, or assistance with sourcing and wrapping original gifts for your family and friends, or perhaps just want an extra hand with your home admin – we can help! Get your home Christmas ready and have a beautiful Christmas tree delivered to your doorstep (and put up and decorated if needs be!) 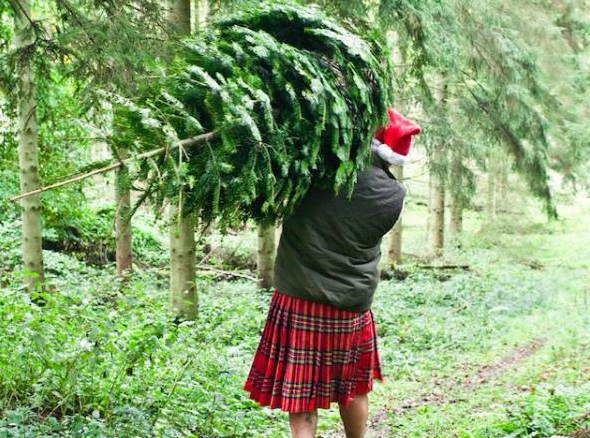 by the fabulous Pines & Needles. Use ELVES at the checkout to get some extra’s thrown in too! Give something totally unique this Christmas. 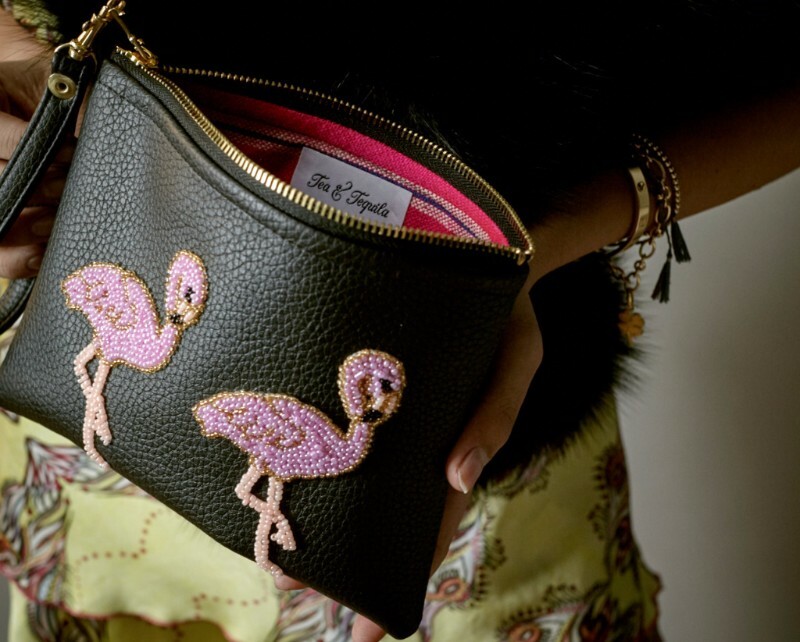 Nonie London provides a bespoke embroidery service. 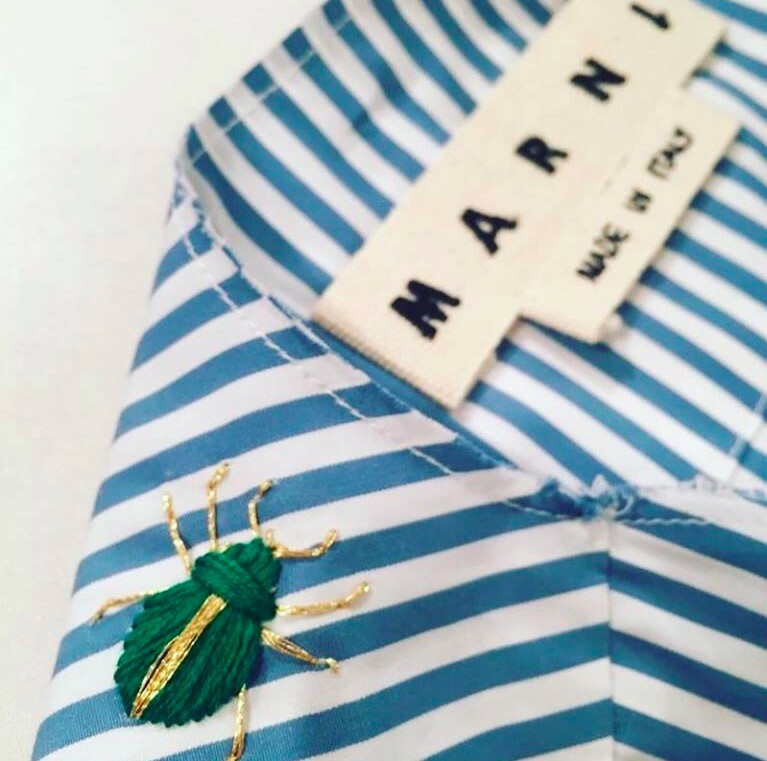 They specialise in embroidering bugs onto shirts, but can take on personal commissions too. Just post the item you want embroidered direct to them with your instruction and they’ll get started! 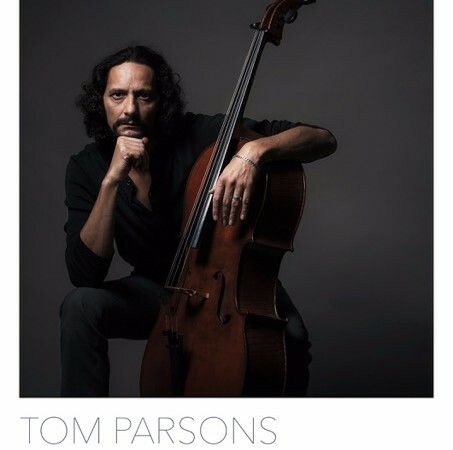 Introducing Tom, a portrait photographer based in Kent, working with both natural light and studio lighting. Specialising in portraiture, he offers headshots, corporate and personal portraiture. With the Christmas season fast approaching, why not treat your loved one or family, or even yourself to a fine art portrait? Something special, maybe even an heirloom for the future! Prints can be provided mounted, and all sizes up to A1. For gift vouchers or for an informal chat, please visit his website for contact details. Shimmy is a revolutionary garment, that was designed and developed to bring freedom and choice to women who previously would not wear sleeveless tops and dresses. Not only is it the perfect gift, you can bring a whole new look to your favourite party dress this season and all year round. Kalinko has arrived from Burma, just in time for Christmas. Head over to their website for all sorts of Christmas present ideas. There are reams of beautiful handwoven cushions and colourful plant pots for mums, sisters and aunts. Or giant shoe horns, umbrella stands and desk trays for dads, brothers and uncles! Our personal favourite is the stunning Strand Ice Bucket – it comes in 6 colours, and is totally necessary to ensure your Christmas Gin & Tonic stays ice cold! 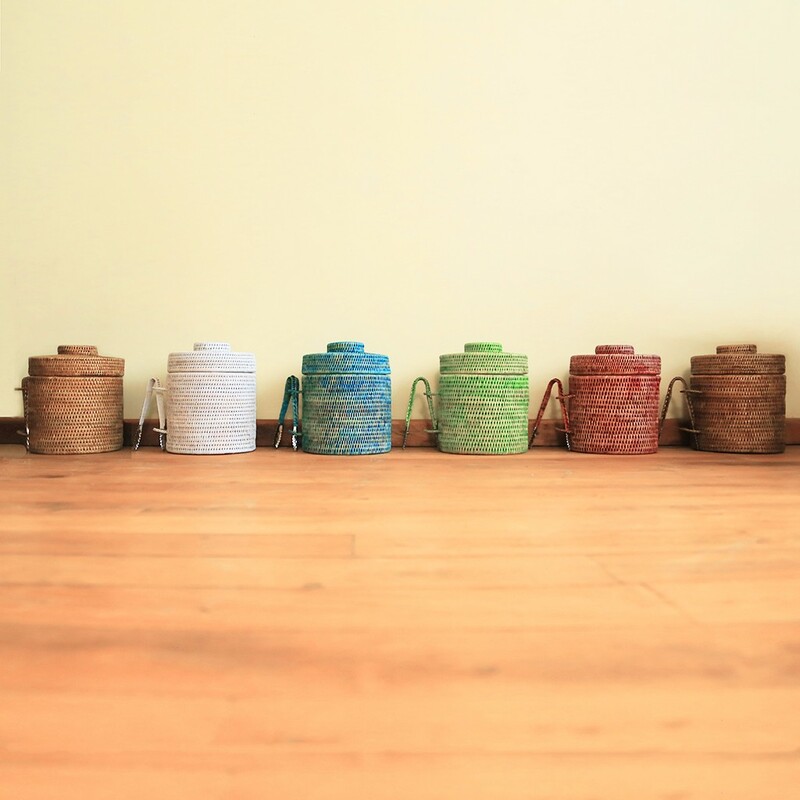 Time to de-clutter the mind and welcome in the New Year with a rebalancing yoga session lead by Izzie at Your Yoga Friend. Specialising in Vinyasa flow, she is delighted to offer you a Christmas and New Year deal of 2 group sessions for the price of 1. Expect creative sequencing and harmonious music that will leave you feeling revitalised and glowing! Looking for something unique for a loved one this Christmas? 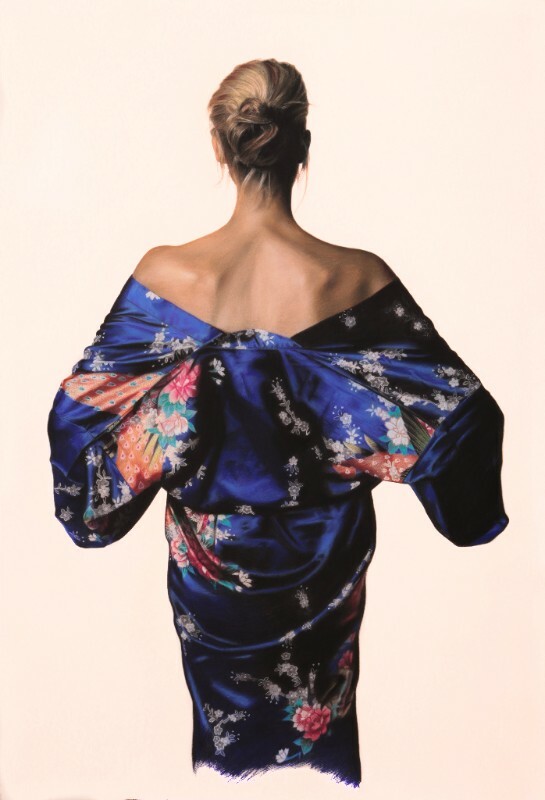 Maximillion Baccanello, a figurative artist in London, is now offering his one off paintings and drawings as prints. Whether you’re looking for something large or small, the prints are high quality and can be mounted or framed. Max is offering a 10% discount to YNAPA subscribers for prints and any commissions. Foodies, fashionistas and healthistas alike will love a special delivery from The Wine Butler this Christmas! 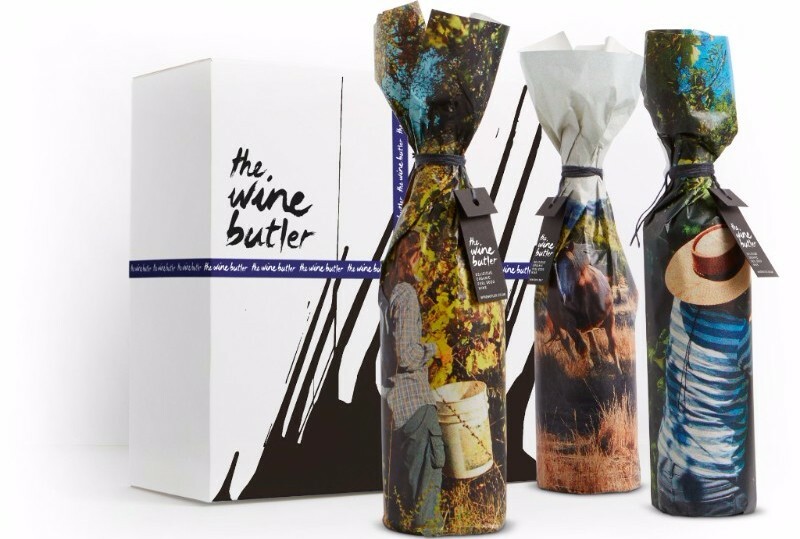 Providing a hand-picked selection of beautiful, organic wine, The Wine Butler can be given as a one-off gift or as a monthly subscription, ideal for discerning and health-conscious wine drinkers. Free from chemicals, preservatives, flavouring additives and other nasties, all of The Wine Butler’s wines are sourced from the most sustainable, organic and environmentally responsible independent wine makers from around the world. A one off Gift Box starts from £55. If you enter YOUNEEDAPA when purchasing, you will be given a 3 month upgrade! This Christmas, give them a one of a kind gift. Monogrammed fine jewellery for him and her. As part of the Charlie Waller Memorial Trust Carol Service Committee, I would love to invite you to join us on Monday 12th December, at St Luke’s Church. The trust was set up in 1988, by the parents of Charlie Waller, who took his own life whilst suffering from depression. They set up the trust to educate young people on the importance of staying mentally well and increase the awareness of the signs and the dangers and to encourage those who may be depressed to seek help. 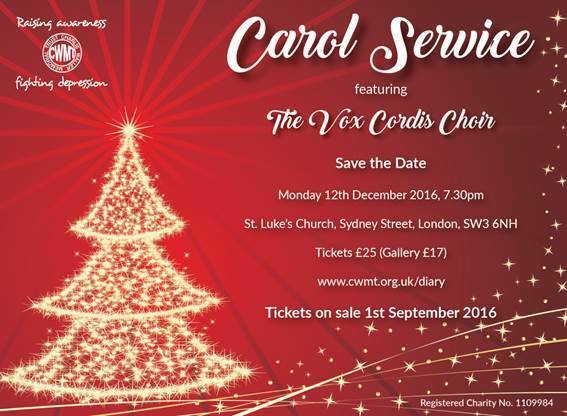 The carol service is such a lovely evening, with some fantastic readers and will be sure to put you in the christmas spirit! Ticket’s are on sale now through the website, please head there for more information.